Dimensions: 13" x 3.5" x 6.5"
Need your pistol in a hurry? 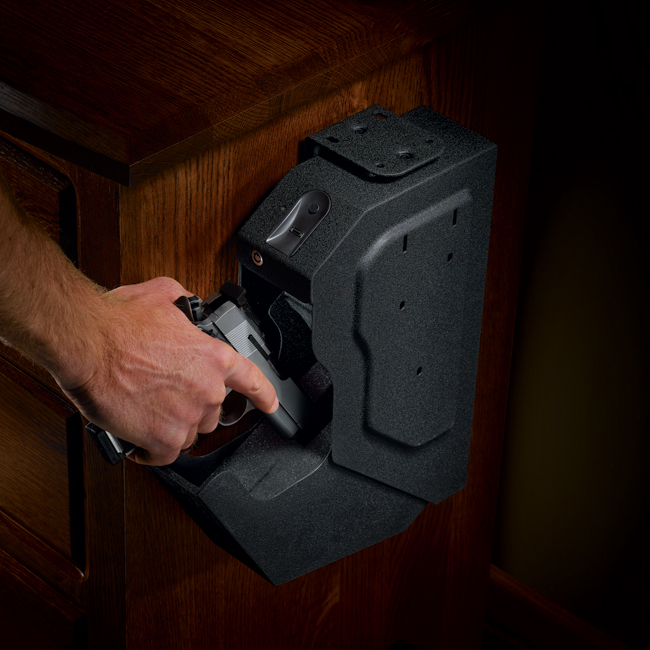 You probably need the GunVault SpeedVault biometric handgun safe. With the swipe of a fingerprint, the GunVault SVB500 biometric SpeedVault handgun safe slides quietly open to reveal your handgun. 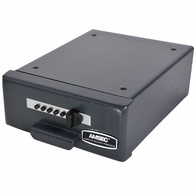 The SVB500 uses reliable state of the art biometric technology to remember up to 120 users. Biometric technology reliably identifies individuals by fingerprint. The technology has reached the point where it is a "no-brainer" — it's fast, repeatable, and reliable. You can count on it to get you (and those you empower) quick access to your weapon, but to completely "lock out" all other parties. 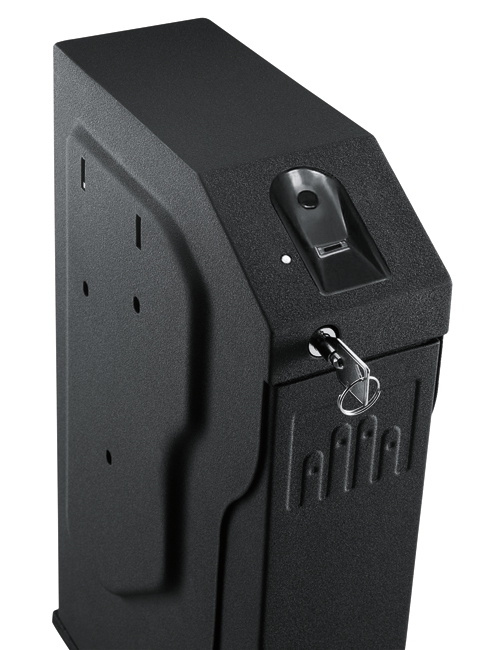 By installing one or two administrator fingerprints, you can then install up to 118 additional fingerprints that will open the handgun safe. It is easy to install fingerprints into the unit by simply pressing the learn button, making sure you have good contact and then swiping your finger over the scanner, taking one to two seconds to do so. Once you are done, you will hear a beep and you must scan it again. 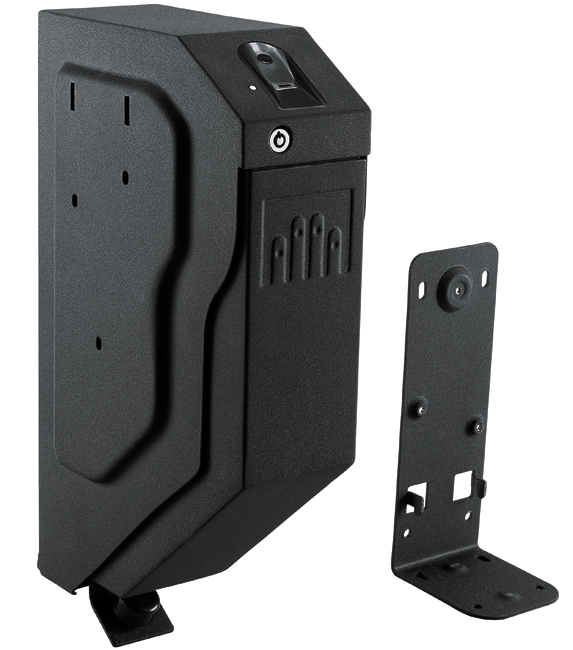 The GunVault SVB500 biometric SpeedVault handgun safe uses a nine volt alkaline battery to run the biometrics. Should the unit fail due to a dead battery, there is a key that will override the lock and open the handgun safe. (Note: do not use the biometrics while the key is being used). 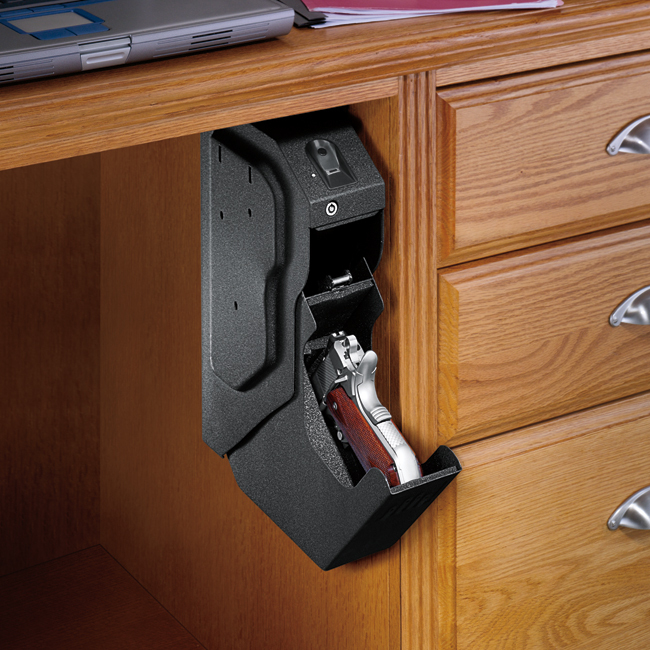 The SpeedVault handgun safe comes with a mounting bracket that you mount to the wall or desk and then mount the safe to it. 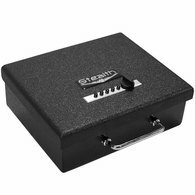 You attach the safe with thumbscrews from the inside and therefore it cannot be accessed from the outside when the safe is locked. Once you have removed two thumbscrews the "drawer" or handgun container can be lifted out to help with attaching the safe to the mounting plate. 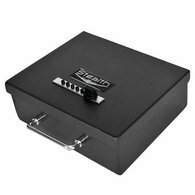 As simple as this box is, it is secure and ready for action in a flash. It weighs about 6.75 pounds and measures 13" x 3.5" x 6.5" . The outside of the box is a matte black textured finish which will not call attention to its presence. 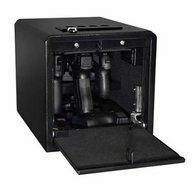 For California Residents: This gun safe meets the safety standards for gun safes specified in California Penal Code Section 12088.2.1, which mandates that all firearms sold in California be accompanied by a firearms safety device or proof of ownership, as required by law, of a gun safe that meets the Section 12088.2 minimum safety standards developed by the California Attorney General. Like the form factor, but would rather it opened with a pushbutton combo? Your wish is our command! 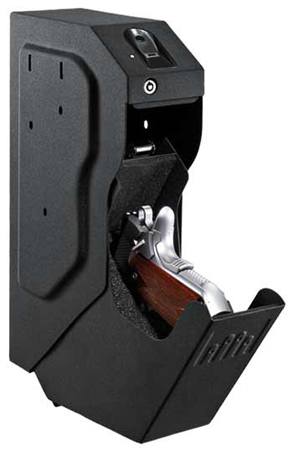 Check out the GunVault SV500 SpeedVault handgun safe!